JME Weightlifting and Fitness Equipment. 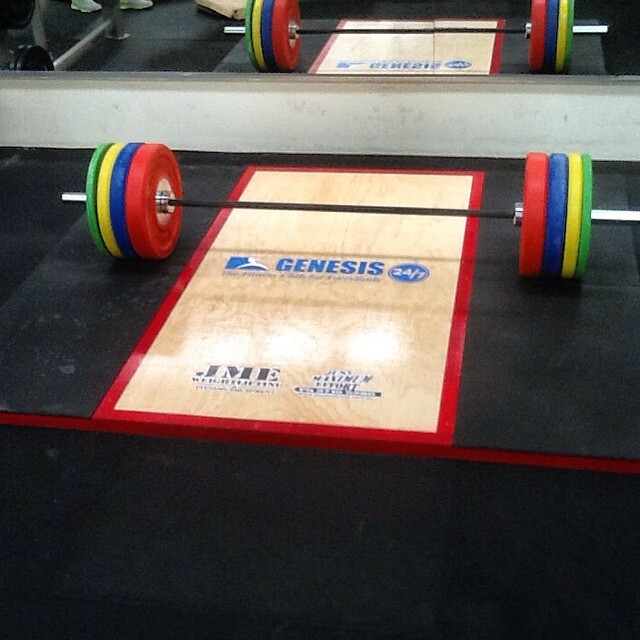 Look at our new platform pack, includes platform + 20kg or 15kg CrossTraining Olympic bar + 140kg set of coloured elite bumper plates, T and C's apply Priced at $1899.00 inc gst. Lifting Surface finished in Commecial Grade Finish with JME's own Lifting Surface Sure Lift Grip. Easy to Move and Assemble. Elite Seires Weight Plates Bumpers. Steel centres, high quality, IWF Colours. Shipping to most locations around Australia.